Not quite sure what to do with all of those leftover Easter eggs? 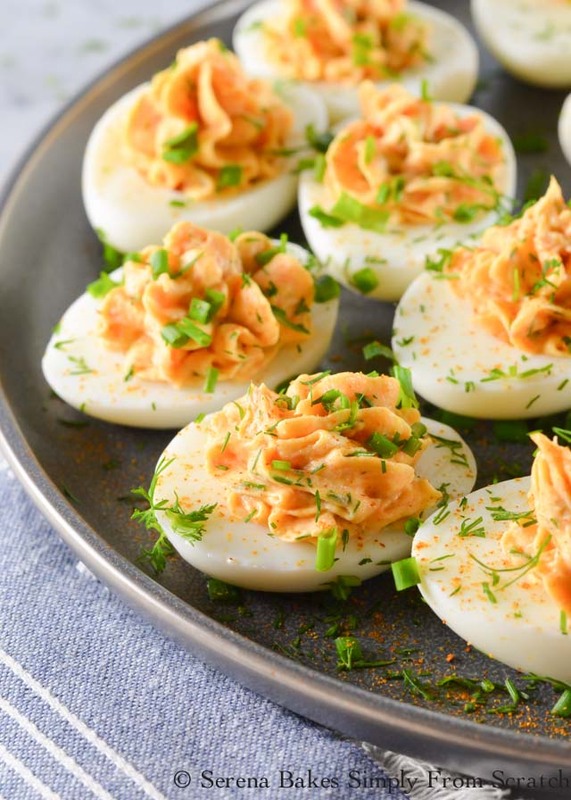 From deviled eggs to macaroni salad, these easy Boiled Egg Recipes are the perfect way to use them all up! Every Easter, I always end up with a ton of dyed eggs and not a clue what to do with all of them. There are only so many times you can eat an egg salad sandwich before they get super boring, right? 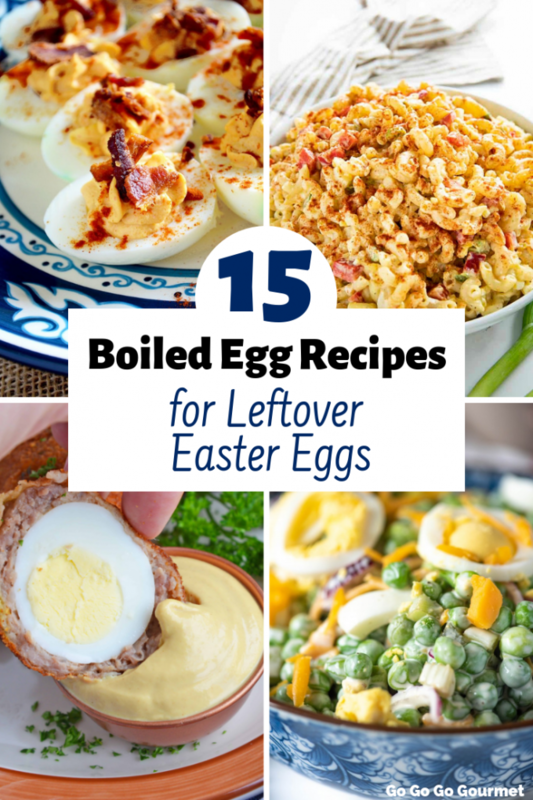 This year, I planned ahead and set out to find the best recipes with boiled eggs in them. 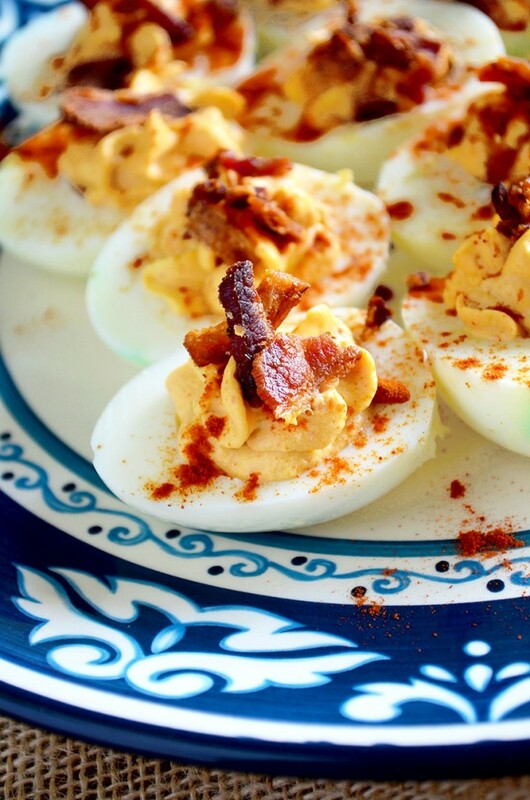 These deviled eggs are a game changing solution for all of those Easter hard boiled eggs- BACON SRIRACHA DEVILED EGGS! So genius! You can find the recipe here. Classic Deviled eggs are a crowd-favorite and a go-to appetizer recipe for any host. 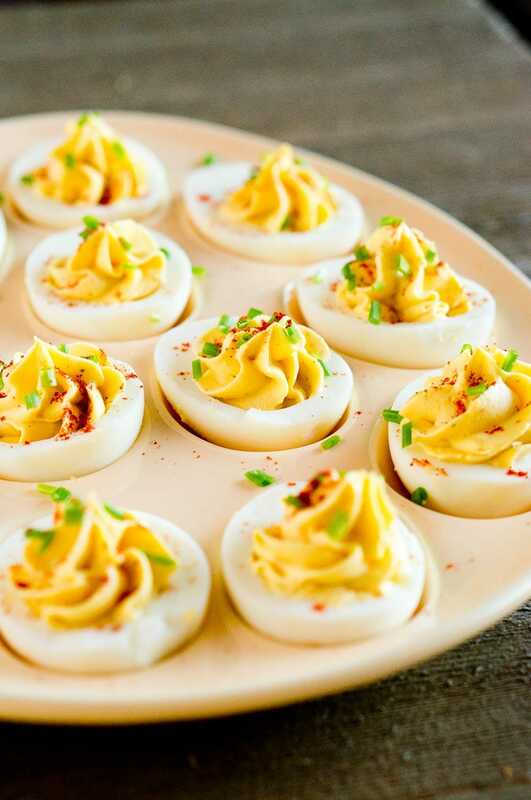 This classic deviled eggs recipe makes the perfect little bites to add to any meal or party spread! You can find the recipe here. 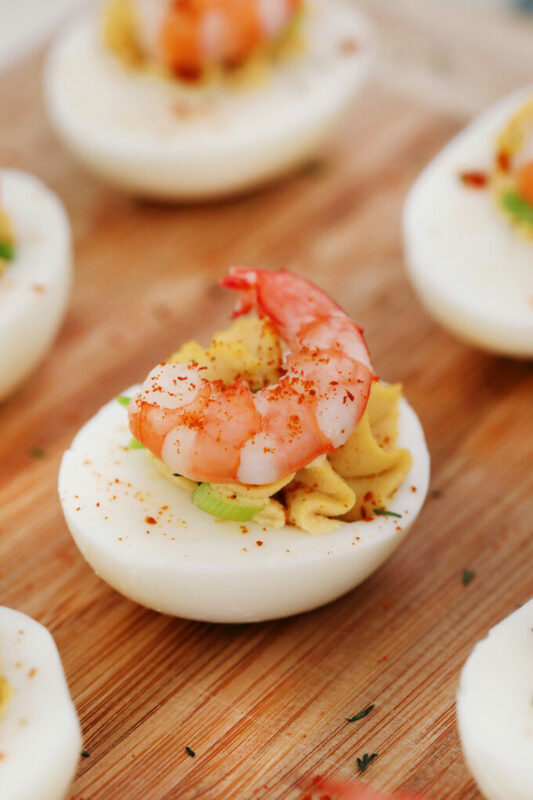 Deviled Eggs with Old Bay Shrimp are easy to make and are the perfect finger food for parties, potlucks or Easter. They require a few simple ingredients and are ready in about 30 minutes! You can find the recipe here. These Smoked Salmon Deviled Eggs are a favorite twist on the classic deviled eggs with smoked salmon and fresh dill! You can find the recipe here. 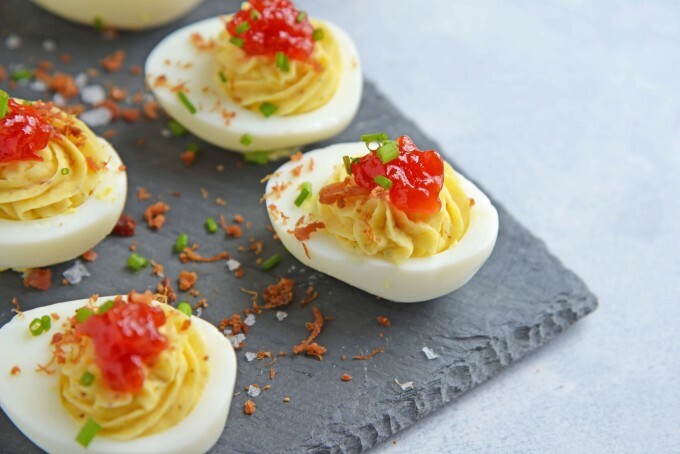 These Tomato Jam Deviled Eggs use sweet tomato jam with tangy horseradish in a devilishly creamy deviled egg filling. Top with chives and serve! You can find the recipe here. 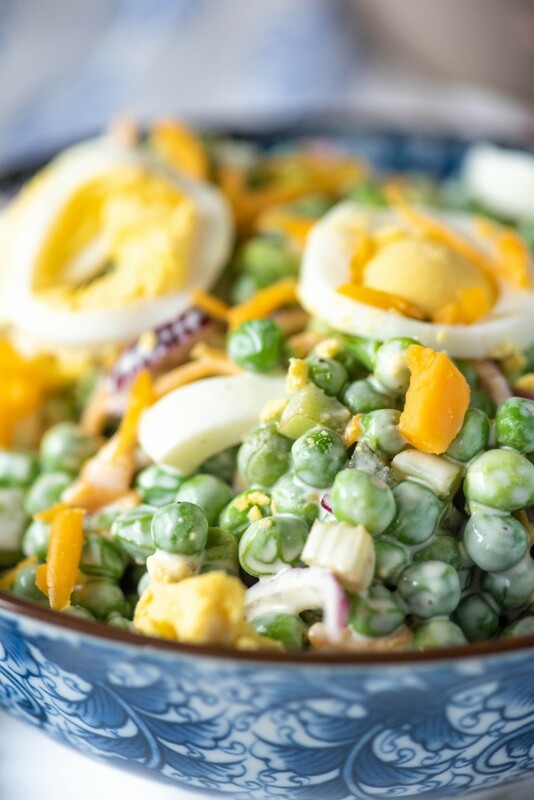 This easy English pea salad is perfect for any picnic or potluck! Served cold, this is crisp, with a little crunch and a creamy dressing, packed with onion, egg, cheese and celery! You can find the recipe here. 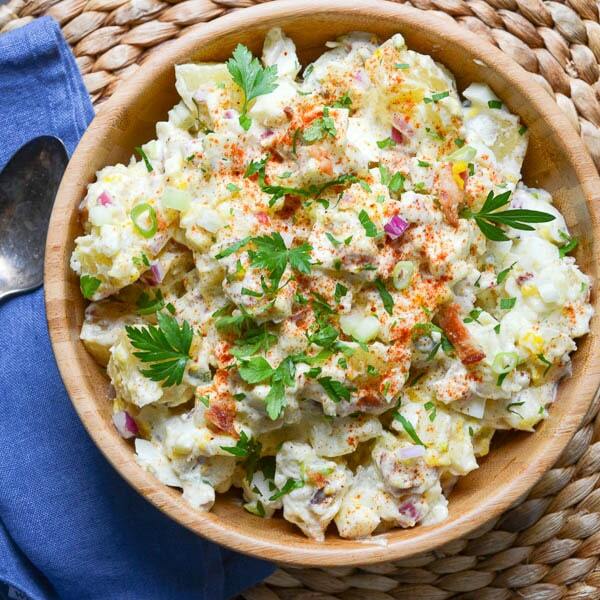 Tangy with a bit of crunchy vegetables, this Bacon and Egg Potato Salad is everything you want in a potato salad recipe! You can find the recipe here. 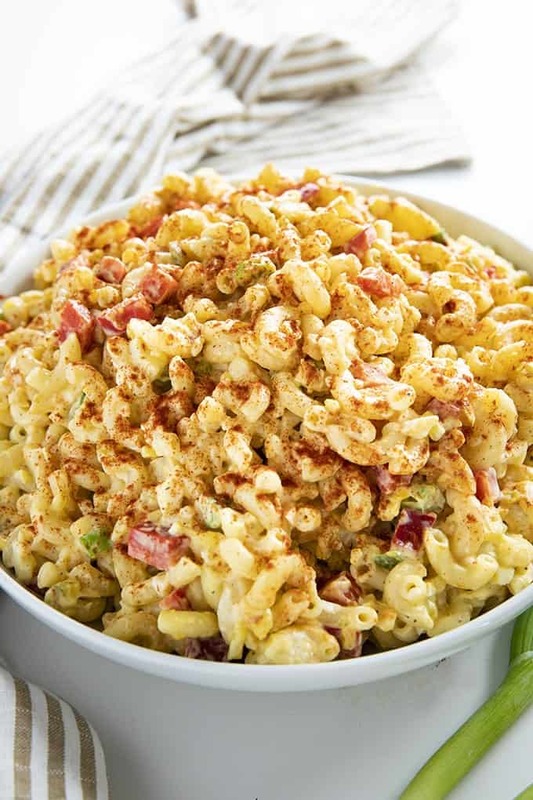 This Macaroni Salad is a classic summer pasta salad loaded with noodles, egg, dill pickle relish, and a flavorful dressing! A great way to use up leftover boiled eggs! You can find the recipe here. 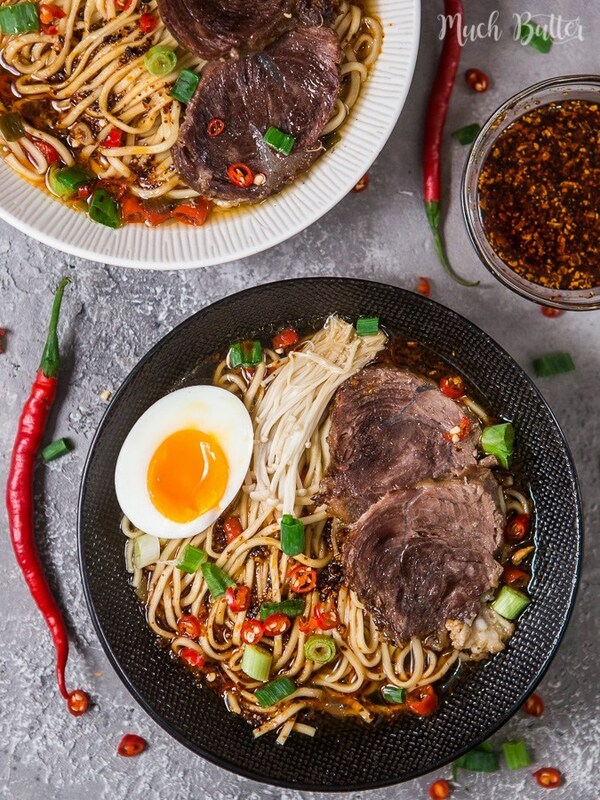 This spicy beef chashu ramen noodles recipe is topped with a boiled egg and would make the perfect weeknight meal! You can find the recipe here. 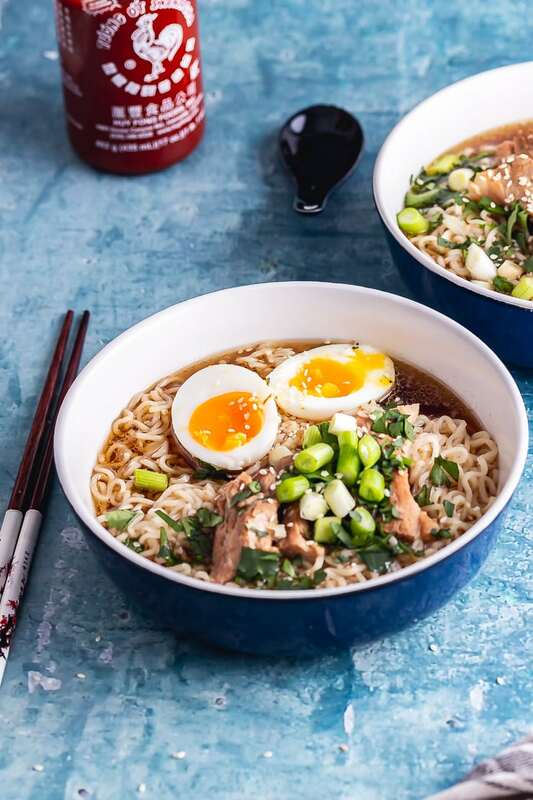 This easy pork ramen recipe is made with super tender pressure cooker pork belly, a rich broth and noodles. Serve topped with a boiled egg, spring onions and fresh coriander! You can find the recipe here. 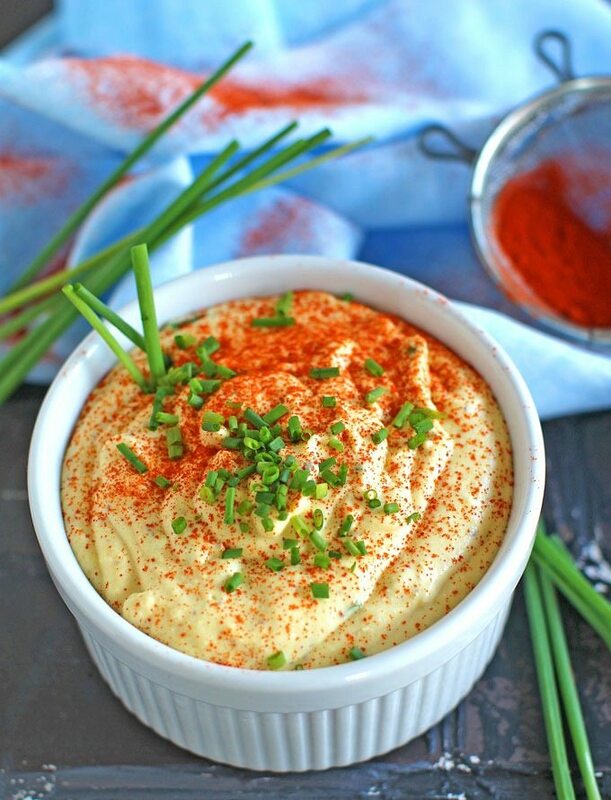 Deviled Eggs Dip with paprika and chives is a great way to use leftover eggs. Creamy and just a bit spicy, this is an easy and delicious appetizer! You can find the recipe here. 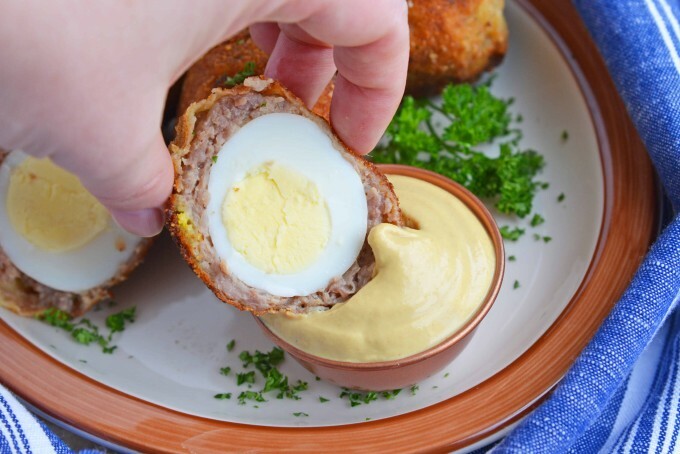 Scotch Eggs are a great way to use hard boiled eggs. Wrapped in pork sausage, rolled in seasoned bread crumbs and Parmesan cheese before being fried! You can find the recipe here. 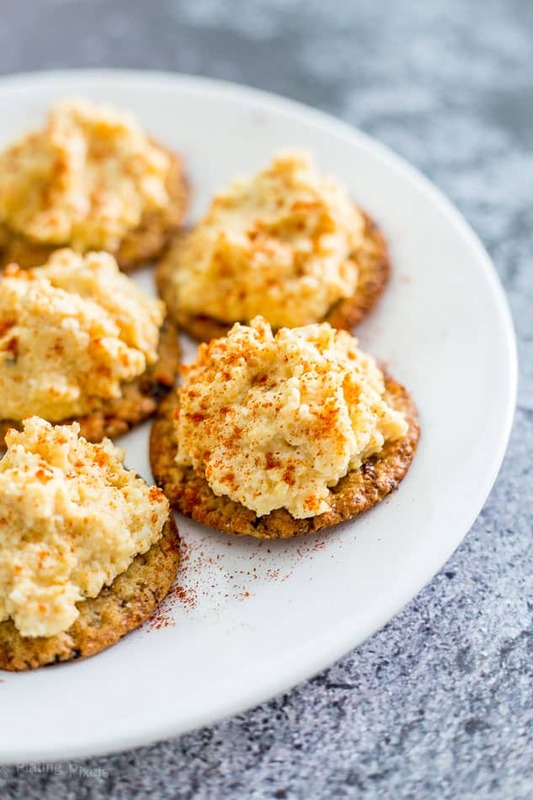 Easy homemade Deviled Egg Cracker Bites have a creamy deviled egg mix of hard boiled eggs, mayo, white vinegar, mustard and spices served over crackers! You can find the recipe here. 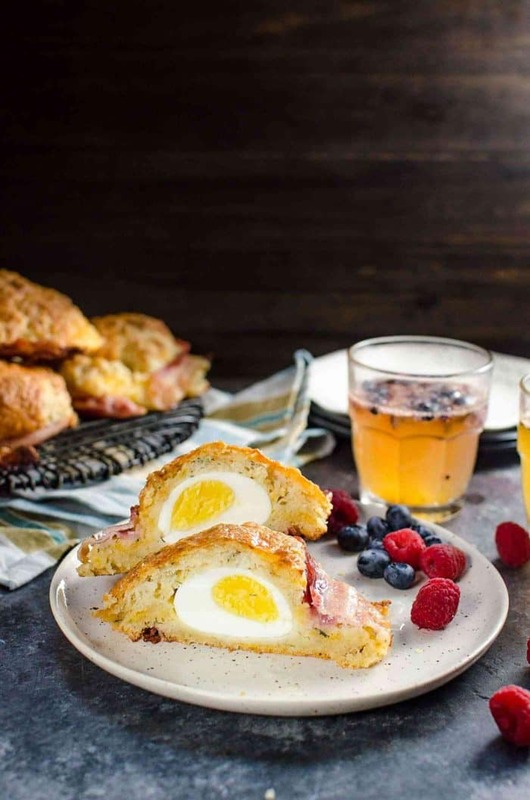 These flavor-packed bacon wrapped Egg Stuffed Breakfast Biscuits are great for brunch and one of the best boiled egg recipes! You can find the recipe here. 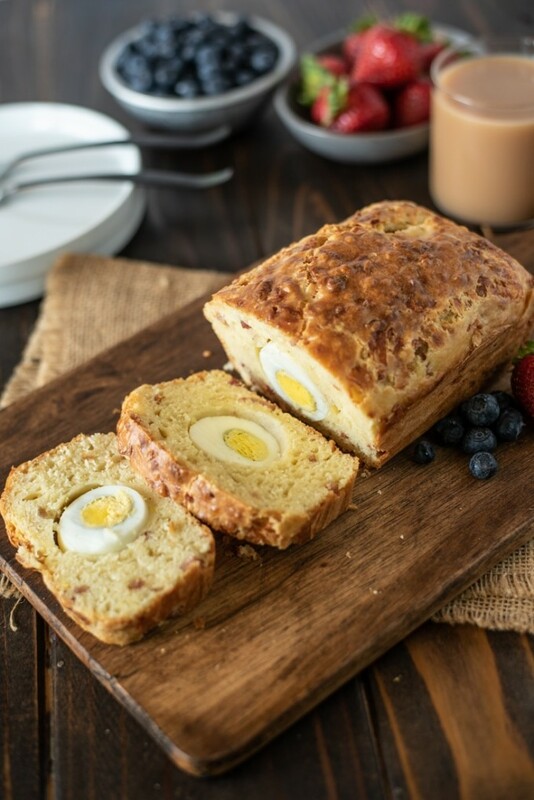 Bacon Egg and Cheese Breakfast Loaf is perfect for a savory breakfast on-the-go. The loaf has bacon and cheese along with hard boiled eggs cooked in the center for extra protein and presentation! You can find the recipe here.